This car looks amazing. I love the design, and the color. Even though these cars are common, I don't see many that are this color. I do have to say though that I'm disappointed with the paint quality. I will have to have the roof and rear quarters repainted and cleared sometime this summer. The interior is nice, and although there is an abundant use of plastic the interior feels comfortable. The seats are also very comfortable and the cloth is nice. The stereo sounds great for a 9 year old factory system. This car has amazing power for a 4 cylinder 5spd automatic. It has an amazing amount of get up and go. Furthermore this car is a beast in the corners and amazes me every time I drive it. Now take everything that I've said and wrap your mind around the fact that it is bone stock. Truly. I am impressed. Finally I do have to say that as MUCH as I love this car, I have concerns. #1 being engine reliability. 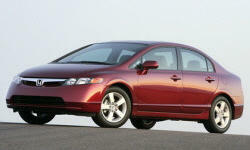 A common problem on 1.8l civics from 2006 a 2009 Civics is that the engine block will crack from flaws in the molding process. Further exasperating problems is that it can happen at any time. Be it 10k miles, or 200k miles. And don't get me wrong.. Honda stepped up and is extending the warranty for the original engine for unlimited miles. 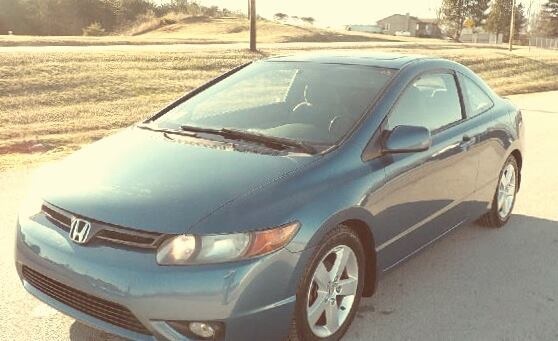 But this doesn't apply to my Honda because it hs a savage title due to damage totally unrelated to the engine. So If, or when this happens to my car I will be responsible for the cost. On the bright side of this common problem is the abundance of used low mileage engines, and that engines from 2010 on seem to be exempt from this problem. #2 I touched on earlier. The paint on the roof and quarters of this car are shot. This is also totally unrelated to the salvage title. Honda sort of covered there asses on this problem, but there is a time limit to get this fixed. So even if the salvage title hadn't voided my warranty, I would have missed the time window. In conclusion, Despite fit and finish issues as well as possible major engine problems, I LOVE my car. I enjoy everything about it. I drive all the time again, and even for enjoyment. I hope we have many years together.